A savage attack on a Cathedral in the Central African Republic has claimed the lives of some 42 people. Two priests are reported to have been killed at the Sacred Heart Cathedral in the town of Alindao, which functioned as a Catholic mission, tasked with sheltering some 20,000 refugees. “The camp has been burned to the ground and people fled into the bush and to other [internally displaced persons] camps in the city,” Godenaham added. ACN reported that the vicar general of the diocese, Abbe Blaise Mada, had been killed in the attack, along with another priest. This is the latest in a fierce string of attacks against the Christian population. In April, some 16 people were executed when a Church was set upon by the militants. 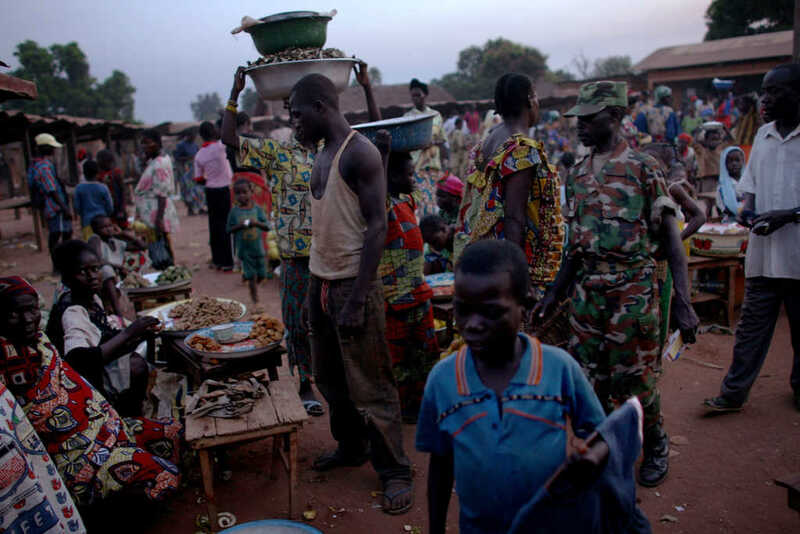 Thousands are thought to have been killed and a fifth of the entire population has fled the country following the brutal conflict, which erupted when Muslim Seleka rebels ousted President Francois Bozize in 2013. The violence has become so brutal that the United Nations has been drafted in to try and stabilize the civil situation and disarm the communities that have become synonymous with killings. On April 10 2014, the UN Security Council authorized the “deployment of a multidimensional United Nations peacekeeping operation,” according to the organization’s website. The mission was named “MINUSCA,” and listed the protection of CAR’s citizens as its “utmost priority.” There are currently over 14,500 UN peacekeeping troops deployed in the Central African Republic. However, it is not only Christians who have been subject to violence and killings. The anti-balaka force, which is thought to be a majority-Christian group, has killed innumerable Muslims. “This vicious cycle of repeated attacks against civilians is unacceptable,” said Najat Rochdi, a U.N. humanitarian coordinator in Central African Republic. Do pray for peace to come to this volatile region of the world.